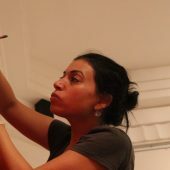 Omnia Khalil is a Ph.D. student at the Graduate Center, City University of New York (CUNY), anthropology program, and adjunct lecturer at Hunter College, CUNY. She is a cofounder of 10 Tooba | Applied Research in the Built Environment in Egypt. She is an engaged scholar and urban anthropologist and has over 10 years’ experience in social mapping and participatory community urban action planning.